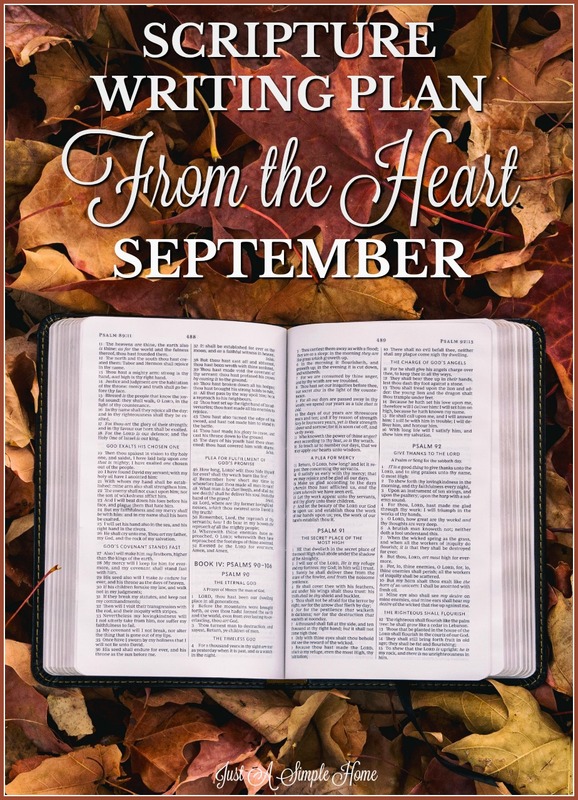 During the month of September, we will be reading and writing about God’s GOODNESS. Some of you may think you know how good God is, and you are right. But I think it is important to really mediate on God’s goodness before we can dive into any other topic. The goodness of our God is foundational to any other topic out there. If we can’t grasp the magnitude of His goodness, we will struggle no matter what topic we study. God is good all the time, and all the time, God is good. Each of the Scriptures should take no more than ten to fifteen minutes a day to copy. Join me in spending fifteen minutes a day listening to God’s Word as He shows us how good He truly is. Yes Terryn, I must agree with you this is one of the best ways to study Scripture and grow closer to God. I usually dictate a part of Scripture for Mia to write. I love how you put a plan together for the month. I love this Scripture writing plan! I’ve never done something like this before! i like this! really good design to a writing plan! I love this idea. I may buy a journal today and start copying scripture as part of my morning routine. Thank you for sharing!